They say you never truly appreciate the value of a well-functioning machine until it breaks down. So it goes for your immune system. Its complex network of cells, tissues, and organs protect your body on a daily basis from bacteria, microbes, viruses, and toxins. But if compromised, as when under attack by pathogens or lacking supporting nutrients, the system can become overwhelmed and fail to accomplish the tasks to keep you healthy. During the winter months, your body’s immune system is presented with greater challenges—it’s the annual time when new, unrecognized pathogens quickly spread from person to person. The standard advice from your doctor is to wash your hands regularly, receive your annual vaccines, and avoid unnecessary contact with those who may carry pathogens. These steps are all effective. Unfortunately, however, a balanced diet and nutritional support is often overlooked for best immune support. 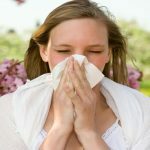 While no nutritional product or supplement can ever prevent you from having allergies, catching a cold or flu, or treat those illnesses or symptoms once you get them, like any of the other bodily organs or systems, a continuous supply of specific nutrients is critical for your immune system to function optimally. Zinc, in particular, is a mineral that plays an important role in the function and development of immune cells, specifically, T-cells. Studies have shown that humans and animals deficient in zinc have increased oxidative stress and a compromised immune system (1-7). Even a minor deficiency of zinc has been shown to result in a compromised immune system (1-7). Zinc in the form of gluconate has also been shown to maintain reserves to guard against a compromised immune system. Vitamin D affects nearly all your body’s cells, including those in the immune system. During the winter months, however, levels tend to drop in most people (depending on latitude) because they no longer create it from exposure to the sun’s ultraviolet rays. Vitamin D receptors are expressed on immune cells (B cells and T cells) and growing evidence is finding that the hormone-like vitamin plays a key role in balancing immune response (8). Vitamin C is closely tied to the immune system. Along with guinea pigs and other non-human primates, humans are not able to produce vitamin C. Instead, we rely on the foods we consume such as kiwi, bell peppers, and citrus fruits. Scientists are speaking up about the suboptimal recommended daily allowance (RDA) of vitamin C, saying that it should be increased to 200 milligrams per day to ensure tissue and cell saturation and promote better overall long-term health (9). This is more than double the current recommendation of 75 milligrams per day for women and 90 milligrams per day for men. Researchers argue that the current RDA levels are based on the prevention of vitamin C deficiency or the disease, scurvy. However, the present recommended level may not be adequate for people to reap the powerful antioxidant benefits of vitamin C that can support the body’s immune system. Bovine colostrum is the first form of milk produced by a cow after giving birth. It immediately provides the calf with a host of immune-protecting substances. Research shows that colostrum supplementation in humans may have a similar impact and strengthen immune system defenses (10-12). A good colostrum supplement should have a range of immune-protecting substances within it including immunoglobulins, proline-rich polypeptides, and lactoferrin. Echinacea is a flowering plant from the daisy family. The plant’s roots and leaves have been used for centuries by Native Americans for their medicinal qualities. Randomized controlled studies support Echinacea’s beneficial effect on the immune system (13-15). Reishi Mushroom (pronounced Ray-She) is commonly consumed in Japan as either a tea or powder and reputed to increase youthful vigor and vitality. Multiple studies have also shown that Reishi mushroom supports the function of the immune system and benefits overall health. What’s more, multiple studies suggest the immunomodulatory effects of reishi mushroom and overall health benefits (15-19). A good melatonin supplement can help guard against lack of sleep and poor sleep, helping to keep your immune system functioning nicely. Getting adequate sleep is probably the most important habit to support the immune system. Without proper sleep, the immune system is one of the first things to suffer. In fact, in a study done by Surrey Sleep Research Centre in the UK, researchers evaluated the consequences of one week of insufficient sleep on 26 men in which they found that the men had altered activity of some 700 genes. A number of the genes affected by sleep deprivation included several genes involved in immune system response. When it comes to the immune system, it’s much more effective to be proactive rather than reactive, meaning you should be supporting the immune system every day rather than stepping up care once you are already sick. A healthy diet, along with daily supplementation with Ageless Essentials Daily Pack—containing zinc, and vitamins C and D—can keep your immune system properly nourished daily.Isamune Plus—containing zinc gluconate, colostrum, echinacea, and reishi mushroom—is a convenient spray that can be used daily to bolster defenses. In addition, Isagenix Sleep Support spray provides convenience in a quality melatonin supplement to make getting enough sleep easier nightly. Feel confident that you are protected with the best immune system support with Isagenix this winter. Hemila H. The Open Respiratory Medicine Journal. 2011 (5):51-58. Prasad AS et al. Am J Clin Nutr 2007 Mar; 85(3):837-44. Prasad. Zinc: Mechanisms of Host Defense. J Nutr 2007, May; 137(5):1345-9. Mossad SB et al. Ann Intern Med 1996;125:81-8. Godfrey et al. J Int Med Res 1992;20:234-6. Weismann K et al. Dan Med Bull 1990;37:279-81. Eby GA et al. Antimicrob Agents and Chemother 1984;25:20-24. Cesarone MR et al.. Clinical and Applied Thrombosis/Hemostasis 2007; 13(2): 130-136. Shing CM et al. Effects of bovine colostrum supplementation on immune variables in highly trained cyclists. J Appl Physiol 2007; 102: 1113-1122. Crooks CV et al. The effect of Bovine Colostrum Supplementation on Salivary IgA in Distance Runners. Inter J Sport Nutr and Exercise Metabolism 2006; 16: 47-64. Noguchi et al. Randomized clinical trial of an ethanol extract of Ganoderma lucidum in men with lower urinary tract symptoms. Asian J Androl. 2008;10(5):777-785. Noguchi et al.. Asian J Androl. Jul 2008;10(4):651-658. Wachtel-Galor et al. Ganoderma lucidum (“Lingzhi”), a Chinese medicinal mushroom: biomarker responses in a controlled human supplementation study. Br J Nutr. 2004;91(2):263-269. Gao et al. Immunol Invest. 2003;32(3):201-215. McGuffin eds. American Herbal Products Association’s Botanical Safety Handbook. Boca Raton, FL: CRC Press, LLC 1997. Hobbs C. Medicinal Mushrooms. 3rd ed. Loveland (OR): Interweave Press; 1996. Tao and Feng. Experimental and clinical studies on inhibitory effect of Ganoderma lucidum on platelet aggregation. J Tongji Med Univ 1990;10:240-3. Möller-Levet CS, Archer1 SN, Bucca G, Laing EE, Slak A, Kabiljo R, Lo JCY, Santhi N, von Schantz M, Smith CP, Dijk D. Effects of insufficient sleep on circadian rhythmicity and expression amplitude of the human blood transcriptome. PNAS 2013 Feb 25 doi:10.1073/pnas.1217154110. Your skin is your body’s largest organ and first defense against harmful toxins and chemicals. That’s why protecting and nourishing your skin is important for maintaining your overall health. So, what should you look for when you’re examining your sunscreen’s label? Or your body lotion? Your makeup? Your face wash? 1. Oxybenzone — This chemical is present in nearly 60 percent of sunscreens and, according to the Environmental Working Group (EWG), may interfere with hormonal systems after absorption into the skin. If you’re going to reach for sunscreen, zinc and titanium are best ingredients to protect your skin. Together, these minerals offer broad spectrum UVA and UVB protection by remaining stable in sunlight without seeping into the skin. 2. Octocrylene — This chemical also commonly present in sunscreens and has been found to produce excess reactive oxygen species causing oxidative stress that can interfere with cell signaling in the skin. 3. Parabens — Preservatives widely used in cosmetic and personal care products, parabens can be absorbed into the skin and can cause endocrine disruption, which is linked to possible harmful effects on health if present in high amounts. 4. Pthalates — Pthalates are multifunctional chemicals used in cosmetics and personal care products that may be absorbed and could also interfere with hormonal systems if present in large amounts. 5. Artificial dyes or colors – Known for their presence in several processed foods and linked to adverse health effects, artificial dyes and colors are often present in cosmetics and personal care products. Skip the color-tinted products and reach for all-natural. Thankfully, you can breathe a sigh of relief because there’s one skincare system that not only hydrates, illuminates and rejuvenates, but it does it the RIGHT way. 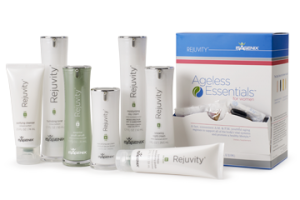 Cruelty-free, paraben-free, phthalate-free and free of all the junk that never belonged on your skin in the first place, the Rejuvity® Skincare System combines nature and science for the ultimate experience in skin care. This line consists of seven products that work synergistically to help replenish your skin at its true power source; deep within the cell. The result? Newly awakened, refreshed cells produce more radiant, revitalized skin. Studies shed light on how exercise can alter the expression of genes. We all know exercise is good for us. It can melt away fat and help build muscle, ease depression, and has been shown to reduce the risk of cardiovascular disease, type 2 diabetes, and cancer. But how exactly does exercise work its magic? Evidence from several recent studies are shedding light on this mystery, showing how exercise can turn off and on genes within muscle and fat cells, altering metabolism and affecting disease risk. Once thought to be unchangeable and the single determinant of what traits get passed on, it is now known that genes are greatly affected by the environment. Although the structure of the gene itself can’t be changed, lifestyle factors such as diet, stress, and exercise can change the expression of genes, turning them off or on. A gene that is silenced, or turned off, is unable to make the protein that will cause a certain effect in the body. A gene that is activated, or turned on, will make a protein when it receives the appropriate message from the body. 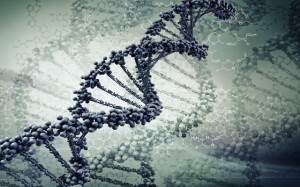 Methylation is one of the ways that genes are turned off or on. During methylation, a methyl group (structure made of carbon and hydrogen atoms) is added to the gene. Think of it as adding a cherry to the top of a sundae. The cherry (methyl group) will either block or assist the message from being received by the sundae (gene). Turning genes off and on affects all processes in the body, ultimately making an impact on behavior, mental processes, disease states, and physical appearance. Exercise is one environmental factor that drives the process of methylation. In a recent study by researchers at Lund University Diabetes Center in Sweden, scientists set out to see exactly what exercise does to our genes. As part of their study, the scientists mapped expression of genes in fat cells before and after exercise in 23 men who worked out for one hour two times weekly for six months (1). Not only did exercising cause weight loss and improve cholesterol levels and blood pressure, but it also changed the methylation pattern at nearly 18,000 sites on 7,663 genes. Many of the modified genes were those involved in fat storage and obesity and diabetes risk. Gene methylation isn’t limited to fat cells; exercise also affects methylation in muscle cells. In a study published in the journal Cell Metabolism last year, researchers collected muscle biopsies from 14 men and women both before and after exercise to determine the effect on gene methylation (2). Not only were major changes in the pattern of methylation seen after just one exercise session, but the researchers also found that more intense exercise caused even greater changes. Similar to what was seen in the fat cell study, several of the genes methylated in muscle cells following exercise are known to affect metabolism and the risk for obesity and diabetes. It is often said that our genes and environment determine how we age and our risk for disease, suggesting that one factor (genes) is unchangeable, while the other (environment) we have control over. These new studies show how the environmental component of exercise is capable of influencing genes themselves, giving us an extra element of control. Exercise is an extremely powerful tool conferring loads of health benefits, likely driven largely by gene methylation. How exercise profoundly affects the body, even down to the level of DNA, is all the more reason for getting your daily dose of physical activity every day. 1. Rönn T, et al. A six months exercise intervention influences the genome-wide DNA methylation pattern in human adipose tissue. PLoS Genet. 2013 Jun;9(6):e1003572. doi: 10.1371/journal.pgen.1003572. Epub 2013 Jun 27. 2. Barrès R, et al. Acute exercise remodels promoter methylation in human skeletal muscle. Cell Metab. 2012 Mar 7;15(3):405-11. doi: 10.1016/j.cmet.2012.01.001.